My name is Mtetar and I enjoy being creative, not only in arts/crafts and sewing, but as a childcare provider as well. All thanks to God because without Him in my life I am nothing. My creativity comes from God and I can only serve him by sharing what he has given me to others which include his WORD. I have been unemployed as a nanny/childcare provider since December 2009. God has been giving me the strength and allowing me to survive each day since my unemployment in order for me to seek employment diligently. He has also given me the wisdom and knowledge to know that I have a job as a childcare provider when it comes to my granddaughter, because I am able to do the same things I would do at a 9-5 with her. This way is even better because I am able to serve God, by serving my granddaughter. God has also blessed me with a daughter that reminds me daily about what my purpose in life truly is. I can’t thank her enough. She inspires me daily. I also am blessed to have a son whom blessed me with my first grandchild and my fourth. Just so you know I am the mother of two children, and grandmother of five. I also give thanks to my mother that passed away in April of this year  at the age of 80. It was because of her that I became interested in sewing. As a child I would gather scraps of fabric and wrap it around my doll as her outfit. This was because I was too young to use the sewing machine and other sewing tools. I can still remember the day my mother asked me to thread the needle for her…ahhh such a fond memory. And then high school came along and I had excelled as far as using patterns. I remember making my very first dress and skirt by way of pattern. Upon my highschool graduation, I pursued my studies at F.I.T. (Fashion Institute of Technology) in New York City. However, I was unable to complete due to lack of finances. After a long hiatus, a marriage, and two children later, I began working in the childcare field as a teacher’s assistant in daycares, and then progressing forward and becoming a nanny. But as I said in the beginning I became unemployed in 2009, and after my unemployment was cut short, I began to see life from a new perspective. I began to put my computer to use and join a few social sites (LinkedIn, BurdaStyle, and AARP), and now WordPress. I have made some great friends from all over, that are just like me. Thank Y O U!!! Jonibee, this is so nice for you to stop by leaving such warm comment. Thanks for your visit to my blog, Running the Race, and for reading and liking one of my recent posts. I always enjoy “visits” with bloggers from all over, doing all sorts of creative things. God’s plans are beyond our understanding–why some doors close and others open–but I know that He is worthy of our trust! Thank you! It is always nice to receive encouragement like this! I hope that over the weekend I will get to sit down and pass it along. Thanks again for visiting my blog! Blessings to you today! Well done you 🙂 You are most welcome! It was so nice stopping by your site. So sorry to hear of your Mother’s passing, but trust me she is in a better place. I lost my daughter in 2011; but it seems like yesterday. God has used her to comfort me so much, so I know All Is Well! I love those beautiful Designer Looking Kid Clothing. God Bless You for using your gift. It would be nice to see you if you have not done it already; feature the clothing in your own Ebay Store. I am very impressed with them. I have one daughter left no grandkids. I will stop by again to finish looking.Be blessed. Thank you so much, Rosa this really makes my day. GOD is good, and all the time he is. I would like to also open up an Etsy shop, but its all God’s Timing for employment, and income. He is using me now, and supplying all my needs. I’m truly Blessed by his Grace towards me. I’m grateful to have him in my life. Thanks for your sympathy of my mom’s passing, I think of all our good times together, and it keeps me uplifted and moving forward. Thank you so much for stopping by. You’re Blessed to have a daughter in your life. Be Blessed! I’m a retired Home Ec. (Family and Consumer Science) teacher! When I taught in NJ, I took a group of my Enrichment girls on a trip to NYC to F.I.T. It’s a most remarkable place!! God Bless you as you follow God’s lead!! Very sorry about the passing of your mom. Your blog is inspiring and compassionate and sometimes when one door closes another one opens. I believe you will be very busy soon with your awesome creativity!! Where the Spirit of the Lord is, there is creativity. You seem to abound in that! I’m truly sorry for the absence of your mom. Is she hanging out in heaven with Jesus? If so, she’s probably hooked up with my mom and her best friend by now and the three of them are rippin’ it up with their sewing machines! All kidding aside, that was the single most life-changing event in my life (except for meeting Jesus). It’s been eight years…oh, how I miss her. hello Mtetar!!! i have missed your uplifting words, hope everything is okay with you, hugs!!!! I have just nominated you for the Super Sweet Blogging Award! 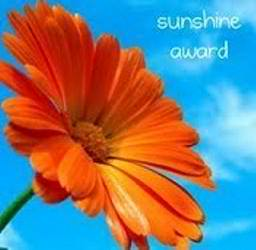 If you would like to accept, take a look here: http://thecraftypioneer.com/2013/10/06/super-sweet-blogging-award/ – no pressure, feel free to take as a complement from one who enjoys visiting your site! Hi! Don’t know if you know yet, but you won the Giveaway over at ukcrochetpatterns! thank you for liiking my post “All Together Now” on OUR RETIRED LIFE. You never know what blessings God has planned for you.